40% of cancer cases and half of cancer death can be prevented. No, or moderate drinking of alcohol. Moderate drinking for women is one or fewer drinks per day and, for men, two or fewer drinks per day. Never having smoked or having quit smoking. BMI of above 18.5 but less than 27.5. Weekly, aerobic physical activity of 150 minutes of moderate intensity or 75 minutes of vigorous intensity. Moderate activity can be: brisk walking (4 mph), dancing, mowing the lawn, riding a bike, heavy cleaning (washing windows, vacuuming, mopping) and playing doubles tennis. Remember everyday jobs such as cooking or shopping don’t count towards your 150 minutes. Moderate activity makes you feel warmer, breathe faster and increases your heart rate. Vigorous activity can be jogging or running, football, riding a bike fast or up hills, playing basketball, swimming quickly and playing singles tennis. One way to tell if you are exercising at this level is that you won’t be able to say even a few words without pausing for breath. According to two new studies published in JAMA Oncology, individuals who met all four criteria above were at low risk, while everyone else was considered at high risk. 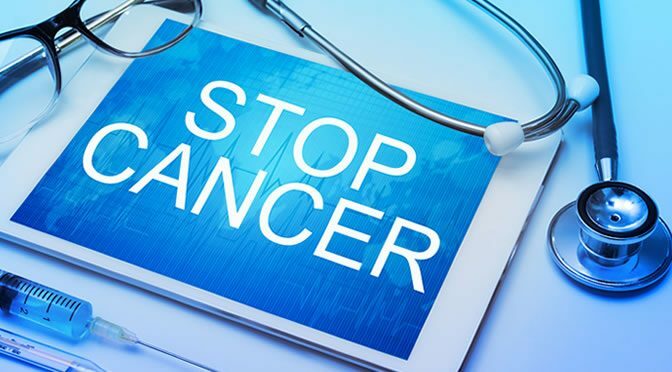 The authors suggest that up to 40% of cancer cases and half of cancer death can be prevented through adoption of the healthy lifestyle pattern. “These findings reinforce the predominate importance of lifestyle factors in determining cancer risk. “We have a history of long delays from discovery to translating knowledge to practice. As a society, we need to avoid procrastination induced by thoughts that chance drives all cancer risk or that new medical discoveries are needed to make major gains against cancer, and instead we must embrace the opportunity to reduce our collective cancer toll by implementing effective prevention strategies and changing the way we live. The studies were published in JAMA Oncology (Song & Giovannucci, 2016; Colditz & Sutcliffe, 2016).